NARCON Presentations are now available! The NARCON Presentation Schedule is posted in the middle of the NARCON Schedule page. NARCON Participant—Session and Presenter Listing. A big Thank You to all our presenters, special guests, and student attendees. It was great you were able to participate and share your knowledge and experiences with NARCON Guests. Thank You to the terrific cast of local Volunteers that made the events run smoothly! Extra special Thank You to our on-site Vendors for participating, bringing their wide selection of products for NARCON guests to inspect and purchase, and donating so many super raffle prizes. Also thank you to the Manufacturers who donated items for raffle prizes! Be sure to patronize these fine rocketry companies. Everyone who signed up to write Sport Rocketry coverage articles please remember you’ll be hearing from Bob Koenn, our article coordinator. Thanks to all those who entered models! The NAR’s annual technical conference returns in 2019 to Florida’s Space Coast, epic home of Cape Canaveral Air Force Station and NASA’s Kennedy Space Center, where 50 years ago next summer the first lunar landing mission was launched into history. The golden anniversary of that milestone will echo throughout NARCON 2019 as we explore today’s newest developments in all levels of rocketry, while seeking inspiration from the first-hand experiences of those who worked on Project Apollo. NARCON 2019 will begin with an opening reception at the KSC Visitor Complex, feature multiple technical tracks of informative presentations, and wrap up with an opportunity to tour Cape Canaveral and see all that is old and new again. We might even be able to throw in an astronaut appearance or two. Plus, how does walking barefoot on a sunny beach with temperatures in the low 70s sound even as the winter chill lingers in the North? If you attended NARCON 2014 at the Cape, you know you will be in good hands as the same team led by Pat McCarthy and Jim Banke, along with able volunteers from several Florida NAR Sections, is back to guarantee you another memorable, first-class experience. So mark your calendars for March 1-3, 2019, and plan to join us at our host hotel near Port Canaveral. 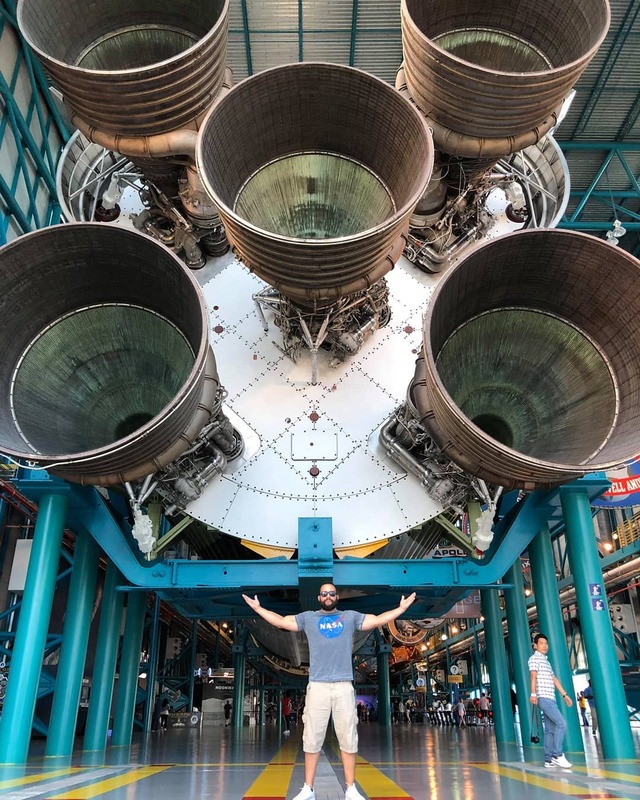 If you want to get a feel for NARCON and what you will see while visiting Kennedy Space Center, check out the NARCON-2019 video. Host hotel availability is limited! Adult registration includes access to the Friday night reception, all technical sessions on Saturday, deli buffet lunch on Saturday with Apollo Old Timers panel, buffet banquet on Saturday night with astronaut panel, Late Night at NARCON on both Friday and Saturday night, NAR Town Hall meeting on Sunday morning, access to Apollo/Saturn static model room, vendor room, door prizes and more. Hurry! Registration closes February 22, 2019.